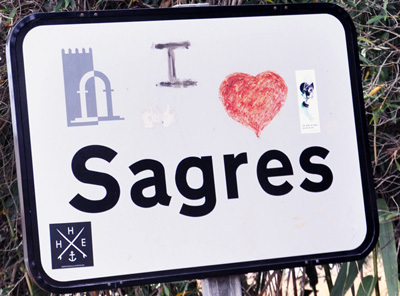 A little background… - I love Sagres! …On where I am writing this blog. 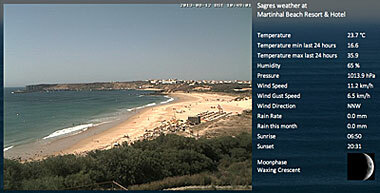 To start with, I am on holiday in the Algarve, for a couple of weeks, staying just outside a town called Sagres. We are completely surrounded by natural park, so after the town border, there is no development in any direction. Consequently, most of the landscape is left untouched, so there is a lot of history and wildlife to be found here. For example, the twitchers among us may have heard of the Rua de Fortaleiza, one of the most famous birdwatching locations, as all of the migrating birds fly by here and stop for a rest. There is also the fortaleza, the navigation school founded by Henry the navigator, where Columbus is rumored to have attended. For those just looking to have a good time though, there are plenty of shops, restaurants, tours and activities to do, from dolphin watching to blokarting, a highly amusing sport, comparable to sailing, yes, sailing a go kart on land. Almost all of the shops and restaurants are individually owned, so it is great if you want to try the local cuisine, but my favourite is to grab a curry from Pashmina and drive up to the Cabo Sao Vicente to watch the sunsets (which are pretty spectacular) and see the lighthouse start up.